Okay so basically the current Ukraine is not in European continent and so Porkie is planning to use child labour to create some sort of European Ukraine... wonder which kinds of land will he take, some where in France or Germany, or UK ? Russia for depriving them of their EU dream. Today is the one year anniversary of the Sukhoi attack on City Administration Building in Lugansk. Here is the article my close comrade 'Juan' wrote the day after on Saker. It still holds true today, one year later. The video links have been removed, the videos are quite graphic and not for women or children. Yesterday, 02 June 2014, shortly after noon local time there was an attack on the Lugansk City Administration Building in the center of Lugansk by a single Ukrainian Air Force Sukhoi 25 ground attack airplane. He fired a single volley of missiles at the front of the building. Yes, the building is the titular headquarters of Donbas Republic but 95% of the offices and workers in that building are city administration workers, civilians doing their work for the citizens of Lugansk and most of whom have worked there for years. Ukraine well knew that fact and attacked. The impact of the rockets are well documented in many videos extant on the internet as is the aftermath as the area is being policed up and the fire in the one burning office on the fourth floor is extinguished. Uh huh, so the civilized Western factories cannot manufacture a proper aerospace rocket engine and still use old-man Soyuz and Proton from "subhuman" Russia. Civilized Boeing still ask "subhuman" Russia to do the titanium parts for them. Civilized GM still cooperates with "subhuman" Avtomaz to produce cars and etc. Civilized France and Japan still buy steel parts from "subhuman" Russia. Civilized United States bought guns and aircrafts from "subhuman" Russia to equip its allies in the Middle East. Civilized Seawolf cannot outrun the "subhuman" Akula. Civilized LRASM can only fly at subsonic speed while "subhuman" Russian cruise missle can fly at supersonic speed and can choose cunning trajectory to avoid radar. All these things really tempt me to join the "subhuman" side rather than "civilized world". George Soros advocates EU financial aid and military assistance to Ukraine to restore Kiev’s fighting capacity without violating the Minsk peace deal, claim anti-Kiev hackers citing leaked emails between the billionaire and Ukraine’s president. The hacking group CyberBerkut claims it has penetrated Ukraine’s presidential administration website and obtained correspondence between Soros and Ukraine’s President Petro Poroshenko. I am surprised he made it to age 84 with some of the things he does. Georgian ex-President Mikheil Saakashvili says he is giving up Georgian citizenship as he becomes governor of Ukraine's Odessa region. Mr Saakashvili told the BBC a Georgian passport meant "guaranteed imprisonment" there as the authorities pursued criminal charges against him. The ex-leader was appointed unexpectedly by Ukrainian President Petro Poroshenko on Saturday. He is credited with radical reforms in Georgia but accused of abuse of power. Mr Saakashvili left Georgia after his term as president ended in 2013. He denies the charges against him, which he says are politically motivated. The former president, who has been granted Ukrainian citizenship, speaks basic Ukrainian and was recently said to have sung the national anthem with a group of Odessa schoolchildren. Continue reading. MOSCOW, June 1. /TASS/. Kiev’s decision to appoint former Georgian President Mikheil Saakashvili as governor of the Odessa Region was surely a US-approved move and may have a variety of far-reaching implications, both internal and external ones. 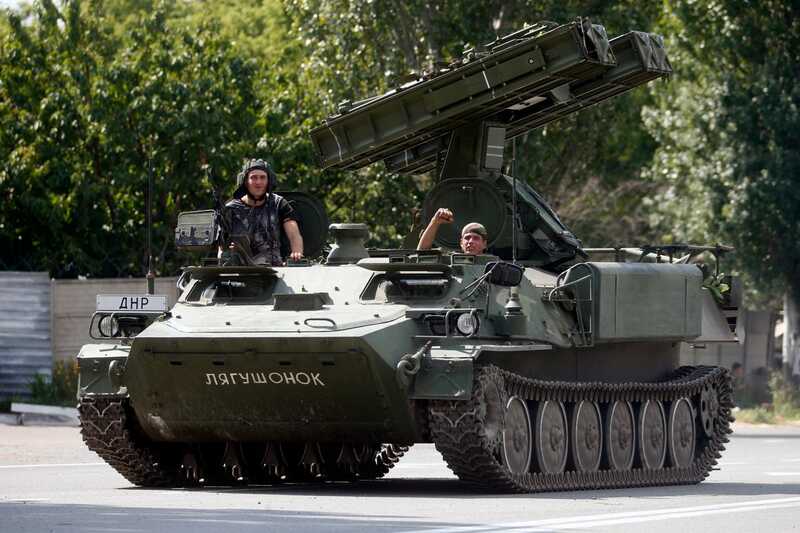 For one, it may cause the smoldering conflict in Transdniestria to flare up with renewed force, Russian experts believe. Last Saturday Ukrainian President Petro Poroshenko declared he had made Mikheil Saakashvili the new governor of the Odessa Region. Saakashvili fled Georgia after his successor, Georgy Margvelashvili, took office in November 2013. The Georgian Prosecutor’s Office charged him in absentia under several articles of the Criminal Code, embezzlement of five million dollars of government money being one of the accusations. Later, he was put on Georgia’s wanted list. The deputy dean of the world economy and world politics department, Andrey Suzdaltsev, points to several factors behind Saakashvili’s appointment. "The region’s governor from the clan of disfavoured big business tycoon Igor Kolomoisky had to be replaced fast, but no suitable substitute was at hand at the moment. Good managers are many, but each belongs to this or that clan. In the meantime, Poroshenko is forming a clan of his own," Suzdaltsev told TASS. Continue reading. MOSCOW, June 1. /TASS/. Ukrainian servicemen are reinforcing the blockade of the self-proclaimed Luhansk People’s Republic (LPR), laying minefields near the Kiev-controlled Stanitsa Luganskaya locality and along the Seversky Donets River, which has already claimed lives, a spokesman for the LPR People’s Militia said Monday. "After [head of the military-civil administration of the Luhansk Region Gennady] Moskal closed for two months the checkpoint to Stanitsa [Luganskaya], people have been trying to leave the locality or enter it using bypass routes. To prevent that, Ukrainian soldiers have started actively laying mines at all available entrances to Stanitsa," LuganskInformCenter quoted the spokesman as saying. "At some sections," according to People’s Militia data, "the servicemen are mounting barbed wire for people to be unable to leave the inhabited locality." "Three people, according to our information, were blown up on a tripwire on the outskirts of Stanitsa, near the Seversky Donets River, last Sunday. Two of them died," the spokesman said. Continue reading. aimed that i was mig29 or su27, which are far more likely to have done it? The ukrops had them,they used them, and could hide themselves from foreign radar if necessary. What propaganda nonsense have you consumed to believe the Su-25 can not shoot down aircrafts? It can fly up to 12km altitude with minimal load (gun ammunition+ATAM+fuel). @whir: Some of my friends went in a full LOL after reading this. In a BBC interview, Mr Saakashvili said he could not currently go back home. "The reality is for me today that the Georgian passport means guaranteed imprisonment for me in Georgia," he said. "without violating the Minsk peace deal" ? How ? The Kyiv facist has already violated it many times. KomissarBojanchev wrote: Why is this BS that it was a Su25 that only couldve shot down mh17 being peddled? With this crap the prodonbass narrative is shooting itself in the foot. Why isnt it claimed that i was mig29 or su27, which are far more likely to have done it? The ukrops had them,they used them, and could hide themselves from foreign radar if necessary. "The instructions say 7,000m is maximum altitude due to crew conditions. It's the only military plane without sealed cabin. But the plane itself can fly at 10, 11 or even 12 km." Rostov radar said they saw what they believed to be Su 25 signatures tailing MH17. The public then assumed that the fighters shot down MH17 however the radar couldn't tell that, Rostov noted that MH17 broke up in the air. It could have easily have been a SAM, just because fighters were following the flight doesn't automatically make them the cause. Residents on a BBC interview confirmed seeing jet fighters in the area shortly after the MH17 crash. Until weapon fragments are identified it's all a guessing game, even then for political reasons we may not get a truthful report from the investigation, I say this because of the non-disclosure agreements the countries participating in the investigation had to sign, that is very suspicious. At any rate they said about 12mths for the report so that's not too far off. We have waited almost 11mths. forecasts are politically motivate trash. No, it shrank 17.6% year-on-year in the first quarter. Basically that means, that if it has another 3 quarters like that - then it would have shrunk by 17.6% this year. In absolute terms it's only a 17.6/4 = 4.4% GDP decline in Q1. against the same quarter of the previous year and your example is not correct. There is still plenty of time to arrest it. But that would require, you know, a couple dozen billion dollars from the West maybe - and that's just to start with. 10% is a highly optimistic forecast, but it's quite possible - if theoretically the rate of GDP decline drastically slows over the next 2-3 quarters. the 4th quarter since the 4th quarter of 2014 was already down. But the net GDP drop for 2015 will be over 20%. That 17.6 fall indeed is quarterly and it doesn't mean anything until the nominal numbers are out. Don't forget this is in UAH, so the reality is even worse. UAH/USD value having halved YoY, this is entirely normal. What is required first and foremost is to choke the UA's options to wage war. Refuse payment reschedule, refuse private debt default and make sure UA's cost of living skyrockets. I feel dirty advocating this, but enough is enough, these guys want to play ball, Russia should take them literally. Apparently Kiev has moved forces to the border with Transnistria. These are forces deployed into the field, not simply barracks near the border, and they do not even seem to offer as explanation the weak excuse used a few days back of "anti-terror" training. Three Ukrainian military who have committed murder resident of Sartan on May 8 in the village Talakovka Donetsk region, decided to make lynching. This was stated by the head of the Interior Ministry of Ukraine in Donetsk region Vyacheslav Abroskin transmits censor.NET , referring to the publication of "0629". "They decided that they in one court and performers," - said Abroskin. Note that local residents reported that a man had killed the pro-Russian political views. Who is guilty of the military arrested, police opened criminal proceedings under Part 2 of Article 121 "Premeditated grievous bodily harm committed by a group of persons, as well as the one that caused the victim's death" of the Criminal Code of Ukraine. This article provides for a sentence of 10 years in prison. Khepesh wrote: Apparently Kiev has moved forces to the border with Transnistria. These are forces deployed into the field, not simply barracks near the border, and they do not even seem to offer as explanation the weak excuse used a few days back of "anti-terror" training. Hopefully that location will be Kievs grave. At least Russia has men and equipment there. Because it's all just wild arm-flailing contradictory BS and flooding of the info-space with crackpot theories and disinformation - in order to divert and confuse public attention from what is the most-likely explanation and always has been - that MH17 was shot-down by a rebel Buk system which thought that it was shooting down yet another Ukrainian transport aircraft. Everything after that has just been various forms of damage control. I'm sorry but it's the most likely explanation in light of everything we've seen so far. Another Ukrainian transport aircraft? Ukrainian transports were downed by Strelas when they were low near airfields taking off or landing. High attitude flying Ukrainian aircrafts were never shot down. There was a Su-27 flying low for the attack run and it was shot down. Then on the next day, other Su-27s flew higher and they were ok. The rebels never demonstrated they had anything close to Buk's. The first thing Strelkov said was their weapons can't reach that attitude. True we know the rebels were towing away a Ukrainian Buk vehicle as a trophy. But it was smashed from the inside by Ukies before their retreat and the rebels were trying to fix it. Yes we can say they somehow pressed the wrong button and fired it by mistake, but the Buk is a complicated piece of machinery, and it won't hit the target without a radar vehicle next to it let alone being seriously damaged. Of course we can further speculate the rebels had some super expert they short the right circuit and, fixed the whole thing in a matter of days, fired the missile without the radar vehicle and the missile by chance, using its own guidance, hit MF17. We are reaching fantasy land here. Of course if you can't tell what's the difference between a Buk and a Strela, or between An-26 and Boeing-777. I'm wasting my time here. Why the old Su-25 service ceiling topic again? Upgraded Su-25, 4 x Su-25M1 or 1 x Su-25UBM1 Ukies have had no issues reaching 10,000 and stay there. flamming_python wrote: Because it's all just wild arm-flailing contradictory BS and flooding of the info-space with crackpot theories and disinformation - in order to divert and confuse public attention from what is the most-likely explanation and always has been - that MH17 was shot-down by a rebel Buk system which thought that it was shooting down yet another Ukrainian transport aircraft. Claiming rebel responsibility is not necessarily the most likely explanation but the most convenient because that way all other questions have not to be answered. Siberia Airlines Flight 1812 being downed African style by locking SAMs to civilians airliners for practice has practically being forgotten. Avakov's daily claims about VVS bombing runs and downing inside Ukraine followed by BUK deployment against VVS sure helped to create a dangerous paranoia environment that was defused hastily only after the downing. And for eccentric claims what about Bundestag claiming AWACS over Romania registered S-125 activity while no BUK signal was detected? That may well explain the rather intense activity in this berg. I say let them do it so their own sympathizers can see the true intentions of this regime. Except this time Moscow will bomb them into oblivion if they see any sign or attempt at invading Transnistria and debate about who was right and wrong later. Just some stuff that is circulating that I would like to be true, but know it is unlikely, some very unlikely. 1 - What remains of the Ukranian navy may not respond to orders from Kiev in the event of military action in Odessa or anywhere in Odessa oblast. 2 - Elements of UA in and around Odessa city may also not respond to orders from Kiev to engage in military action against either Transnistria or Russian forces. This includes the S-300 batteries remaining silent if ordered to fire on VVS. 4 - There will be an uprising in Odessa if it is clear that at least some elements of Ukranian forces in and around the city will, if not actively support them, will not act against them. 5 - If no major fighting has taken place before the MH17 report is published, then it is likely to happen shortly before publication. This is predicated on the report blaming Kiev. If Kiev is responsible, then a major leak of the report before publication could trigger major military action, more as a distraction than anything else, and the west will also need a distraction from any unfavorable report. 6 - It may be necessary to allow an extreme provocation in Transnistria to happen, and this means a real provocation by Kiev/Washington, not some subterfuge. Very likely all nonsense, but it does no harm to think about any possibility so that we can be prepared for any surprises. Neutrality wrote: I say let them do it so their own sympathizers can see the true intentions of this regime. Except this time Moscow will bomb them into oblivion if they see any sign or attempt at invading Transnistria and debate about who was right and wrong later. Well, at this time things are still quite active here abouts. I for one hope cooler heads prevail in Orcland but methinks my hopes are misplaced. If they do get stupud it's war. Also, many posters here from mp net, so you remember the posts by MSD about the ukrops BUK battery soldier posting location updates on VK as his unit moved from Kharkov to somewhere SE of Ilovaisk by 16 July? Also that the photo of the alleged captured ukrops BUK at metallist was two years old and that not a single photo of this BUK has ever been shown, and why? because it was a wreck and VSN simply wanted ukrops to think they had a working BUK, but that plan has backfired..... Yet even so, nobody seems to remember that even Avakov had publicly stated that the unit at metallist had evacuated before the base was captured and that one unserviceable BUK had been left behind, wrecked.